the PHANTASM ARCHIVES! : Phantasm Remastered Trailer plus see THE NEW SILVER SPHERE! 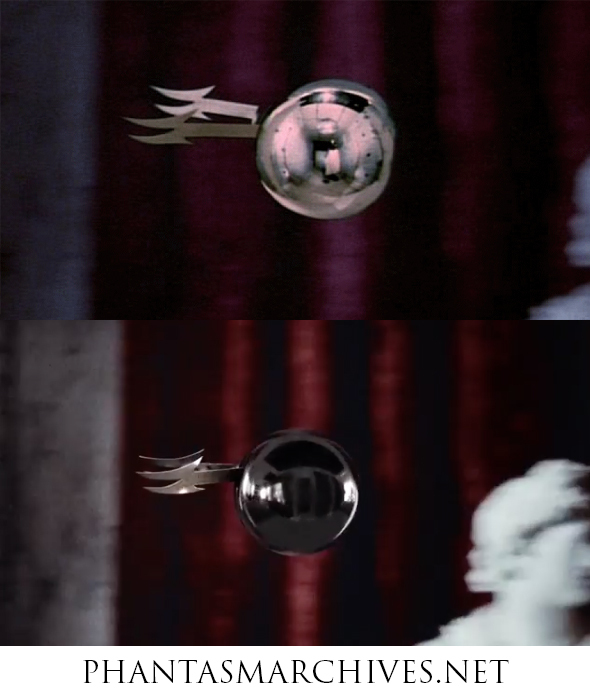 Phantasm Remastered Trailer plus see THE NEW SILVER SPHERE! UPDATE: That brief and seemingly premature trailer has been pulled from the Mondo Instagram page. Word is, however, that a bigger, better trailer for Phantasm Remastered is coming our way soon! Phantasm Remastered is playing across the nation on September 24th as part of Art House Theater Day. The film will be also include a sneak peak at Phantasm Ravager, a tribute to the late great Angus Scrimm and a live streamed Q&A with Don Coscarelli and the cast from Texas. Additional screening dates are currently popping up for October throughout the country. Check your local listings to see when and where! Please tell me you saved the spot? Where in Texas is this live stream taking place? Austin, Dallas or Houston. Hoping its Dallas so I can go! !